Thirty-one nurseries across Ceredigion have been invited onto the scheme. Each will receive a range of equipment to enable staff to set up activities that will get children active. This will help them to develop key fundamental skills such as jumping, hopping, throwing, catching and balancing. 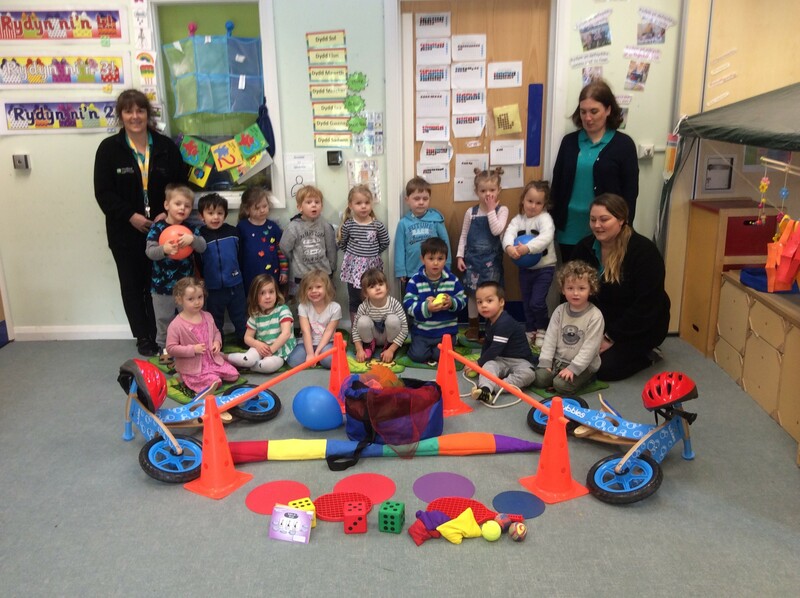 Each nursery will also receive two balance bikes and helmets. In support of the new initiative, Ffrindiau Bach Tegryn Nursery in Aberporth have filmed 22 short videos of the children participating in examples of the key skills. These videos will soon be shared with all nurseries in Ceredigion and are available on YouTube for parents to view under the name, ‘Meithrinfeydd 2019’. Active Young People staff are visiting each nursery to ensure that staff are prepared to deliver all aspects of the project. The Chief Medical Officer guidelines state that children under five should be active for three hours a day, therefore all children are encouraged to take part daily. For more information, please contact Alwyn Davies, Active Young People Manager on 01970 633 695 or by e-mail on Alwyn.Davies@ceredigion.gov.uk.